»A Tranquil Getaway To Malshej Ghat From Mumbai! A Tranquil Getaway To Malshej Ghat From Mumbai! Stuck in this concrete jungle, we all need a break from the chaos of life. A lot of times, surrounding ourselves with mountains and trees while breathing fresh air is all the treatment we need for the fatigue of routine. One such picturesque place that offers this experience is Malshej Ghat, which is located just about 130 km from Mumbai. Malshej Ghat is a mountain pass that is cuddled in the towering ranges of the majestic Western Ghats. It is home to wide range of birds such as Quails, Flamingos, Cuckoos, to name a few, that flies around the diverse flora and fauna of the region. With a beautiful landscape and undulating terrain, Malshej Ghat is a haven for adventure seekers. Therefore it is a spot that is much sought after, mainly by trekkers and campers. Apart from that, it is also a favoured getaway destination, especially for youngsters from Pune, Mumbai and Thane. The months of October to March will be ideal to visit the places around Malshej Ghat, since it the weather is cool and pleasant. However, if you wish to see the waterfalls of Malshej Ghat brimming to its maximum capacity, then monsoon is the season to visit. Although the 3 routes take relatively the same time, we recommend Route 1 since it is the shortest. The metropolitan city of Thane is located 22 km from Mumbai, and is found on the way to Mulshej Ghat. Kelva Beach, which is one of the biggest beaches in Maharashtra, is located here at Thane. Apart from that, Thane is home to many lakes spread across the city, Upvan Lake being one of the popular one. Vardhaman Park, Bassein Fort and Ambarnath Temple are some of the other places to visit in the city of Thane. 12 km from Thane and 5 km off the route lies the industrial city of Bhiwandi. The city has a number of lakes such as Sherlar Lake, Varaladevi Lake, Mulgai Lake, to name a few. Apart from lakes and the big industries that dot the city, Bhiwandi is known for Vajreshwari Temple, a popular site visited by Hindu devotees. Close to the temple lies a natural hot water spring, that has medicinal properties and can heal skin problems. The Marathi word Kalyan literally means "Welfare". It is a city located 13 km from Bhiwandi. The prime tourist attraction of Kalyan is Durgadi Fort and Kala Talao Lake. Durgadi is a word devised from two Marathi words, Durga (Hindu Goddess) and Gaad (Fort). It was built by Shivaji Maharaj after he captured Kalyan and Bhiwandi from the King Adilshah, back in 1654 AD. Kala Talao is a beautiful lake that is another tourist spot that has boating facilities. Joggers enjoy going on a jog around the lake. Since it is in the city premise, it tends to get crowded during the weekends. From Kalyan to Malshej Ghat, the 84 km stretch is dotted with a number of small serene and blissful towns and villages, that are surrounded with lush green and if you're lucky, you might spot some secluded offbeat waterfalls too. 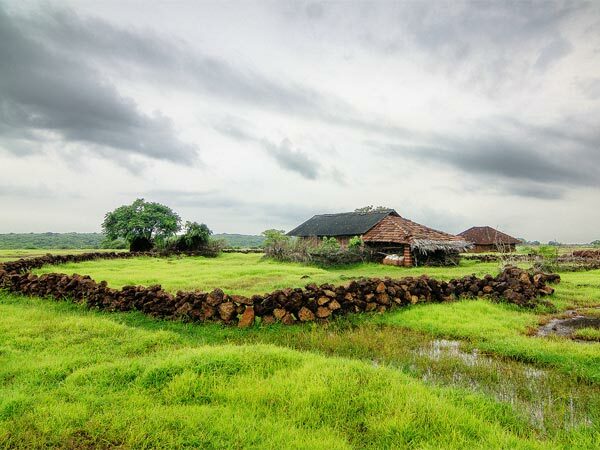 Rayate, Bapsai, Mamnoli, Dhanivali are some of those picturesque villages that you get to witness, that flanks the NH 61. You can step out of the vehicle in one of these places to stretch and just relax in the arms of nature. Next stop, Malshej Ghat! Here are the things to do and places to see in Malshej Ghat. This hill fort of Malshej Ghat is perched at an altitude of 4670 ft. The fort dates back to the 6th century BC, and is a popular trekking trail in Malshej Ghat. A number of temples dedicated to Lord Ganesh and Vishnu can be found within its premise. The highest point here, which is the Taramati Peak offers a fantastic panoramic view of the lush green that fringes the region. If you enjoy bird-watching, then don't forget to grab a pair of binoculars because the Pimpalgaon Dam built over the tranquil River Pushpawati is home to a number of beautiful varieties of birds. With the view of lofty hills in the backdrop, you might get to see birds like Whistling Thrush, Quail, Pied Crusted Cuckoo, Pink Flamingo, to name a few. The dam is 5 km long, and is one of the prime attractions of Malshej Ghat. Malshej Ghat has a waterfall that trickles through the rocky terrain, and has been formed from a number of smaller waterfalls. It can be evidently seen during monsoon when the waterfall will be rain-fed. Ajoba Hill Fort is another destination for trekking and rock climbing, apart from the Harishchandragad Fort. Malshej Ghat is a mountain pass so trekking can be done anywhere around this region.